The Court of Appeal has overturned a High Court decision striking out a negligence claim against Birmingham law firm Blakemores, now in administration, and also set aside a default judgment obtained by the firm for £635,500 in costs. The claims were brought by two residents of a village in Lancashire, who along with a third resident were sent a combined bill by Blakemores for over £635,000 after the collapse of an action involving complicated questions of manorial law. The Court of Appeal heard that the residents had applied to alter the Land Register to “correct a mistake” relating to the Lordship of the Manor of Ireby and 360 acres of moorland overlooking the village, known as Ireby Fell. Delivering the leading judgment in Blakemores v Scott and another  EWCA Civ 999, Lord Justice Vos said the three residents entered into a conditional fee agreement with Blakemores in April 2009, when they ran out of money to fund the litigation. On 10 December 2010, a deputy adjudicator ruled that the Lordship title should be closed but refused, as a matter of discretion, the application to close the Ireby Fell title. Appeals to the High Court and Court of Appeal failed and in 2012 Blakemores issued a claim against the three residents for work done under the CFA, valued at over £635,500. In February 2013 the law firm entered judgment in default against one of them, Christopher Balchin. However, two others, Carole Scott and Eric Walker, served a defence and counterclaim for negligence later that month, and then on 6 December 2013 issued separate proceedings on the same basis. The Law Society intervened in the practice of Blakemores in March 2013 and the firm ceased trading. The claimants argued that Blakemores had been negligent in failing to advise them that, unless they filed an objection to the registration of the titles before the deadline of 21 April 2005, then even if they later proved that the registrations had been mistaken, the adjudicator had discretion as to whether or not to close them. The firm responded by issuing a single application for summary judgment against their claims for negligence. At a hearing before Judge Simon Brown QC, sitting as a High Court judge in Birmingham, the parties agreed that the negligence claims would fall foul of the three-year limitation period if the villagers had acquired “the knowledge required for bringing an action for damages in respect of the relevant damage” in April 2009. He found that Ms Scott and Mr Walker had been told in April 2009 that Blakemores had been negligent and that they had suffered damage because the objections had not been registered in April 2005. The judge also refused to overturn the default judgment. The villagers argued before the Court of Appeal that they only knew that they could have brought an action for damages when the adjudicator exercised his discretion not to close the Ireby Fell title in December 2010, bringing the claim just within the limitation period. They had not been told about the discretion at the April 2009 meeting. 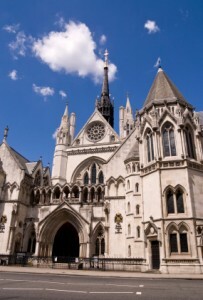 Vos LJ said the question for the trial judge was whether “knowing simply that the firm had been negligent” in failing to file objections against registrations of title before a deadline “was enough to lead a reasonable person to consider it sufficiently serious” to justify issuing proceedings for damages. The villagers were not “experts in land registration or manorial law”, he continued, and “cannot be taken to have known the obscure consequences of a failure to file an objection in time without being told what they were”. He concluded that, in the circumstances the trial judge was wrong “to determine as a matter of law that the facts pleaded in the defence and counterclaim meant that that the starting date for limitation purposes had to be April 2009”. He ruled that “a trial of the facts will be needed before that question can be properly decided”. Lord Justices Underhill and Moore-Bick agreed.